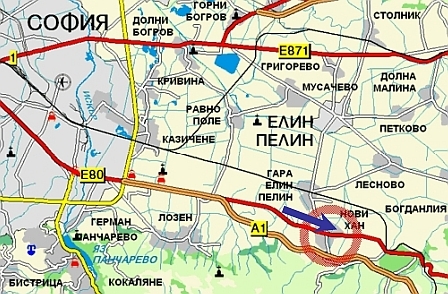 By car go out from Sofia on Tsarigradsko Shose, take highway "Trakiya" towards Plovdiv and turn on the exit to Novi Han and Elin Pelin. When you enter Novi Han village, at the monument-plane follow the road slightly to the right. After the center there is a bridge over creek, after the bridge turn left on the second crossing and it leads to the Church, the Monastery and the Home.